Horror Reviews – Movies & More! Yes, you read that correctly. In other words, coffin torpedoes. We didn’t make that up. They were very real. 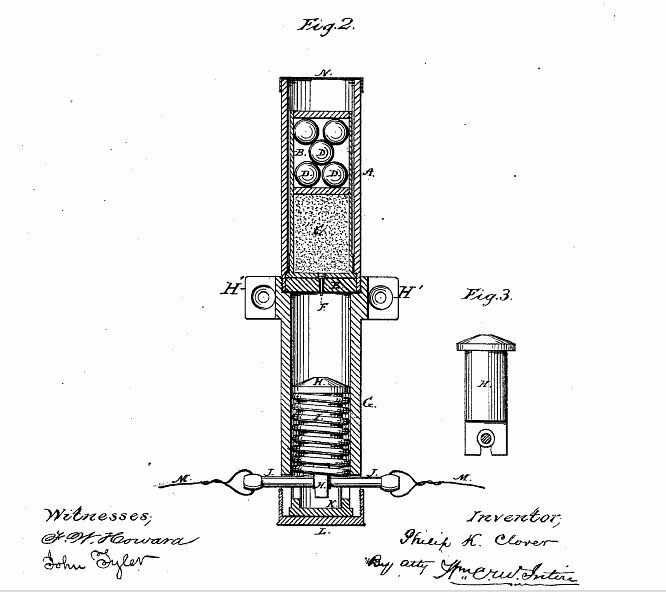 First patented in 1878. 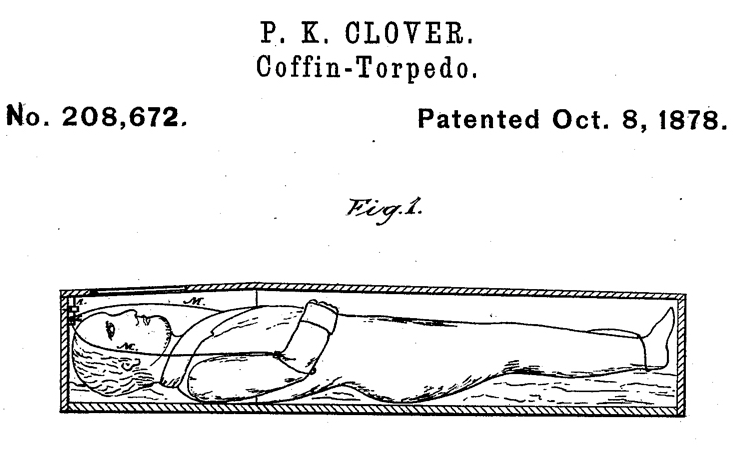 In fact, if you feared weird, Victorian body snatchers coming for your corpse in the middle of the night for professorial experiments before your Lord and Savior could take your mortal remains to paradise, you’d probably buy a coffin torpedo too. You try to steal my body. I blow you up. It’s a beautiful exchange. Hopefully, someday, coffin torpedoes will return. Until then, happy grave robbing. Jim MacKenzie is an amateur futurist on his way to guru-hood. He studied journalism and works in television. Jim writes for several blogs, including The Incredible Vanishing Paperweight and the satirical horror site StuffMonsterslike.com. Jim and his SML co-blogger, Sarah Giavedoni, have started a holiday, ticked off celebrities and tried to purchase the lunar surface. In his spare time, Jim likes listening to rock music, reading, giving away free books at his nonprofit "The POP Project" and trying to catch the real Thomas Wolfe Home arsonist. Show your monster love! Donors of $15+ receive an SML bumper sticker. It's a scream every time you check your email. Featuring movie essays from the Head Monsters of SML and others that explore our love for horror cinema! Published by the Collinsport Historical Society. Stuff Monsters Like: We are the clowns that make the dark side fun.